Well the same is true for Tyrese.. Lawd Hammersay Tyrese! That man is just everything! lol -he's gorgeous & that voice as well is unmistakably manly. Same deep wrasp that you hear from Teddy can be heard from Tyrese. I love that. I think that someone should hurry & create a film to chronicle Teddy's life and Tyrese should play the lead role.. perfect! 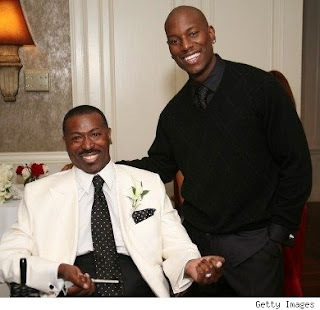 Most people dont know that Teddy & Tyrese had a great relationship prior to his death earlier last year. 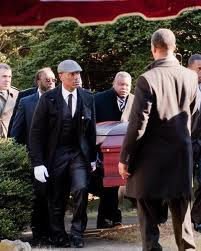 Tyrese was actually a pall-bearer at the funeral as pictured below. So, when I heard Tyrese had covered another Teddy classic.. I had to check it out! I love it..definitely a breath of fresh air considering what music is today. Glad to know that our generation can and will produce some beautiful voices & music in spite of whats popular now! Check out Tyrese's cover below!